Eso es una oportunidad de última hora: En la lista de última hora encontrarás anfitriones que necesitan ayuda inmediata en este momento, además de en otras fechas a lo largo del año. VACANCIES FOR DECEMBER. 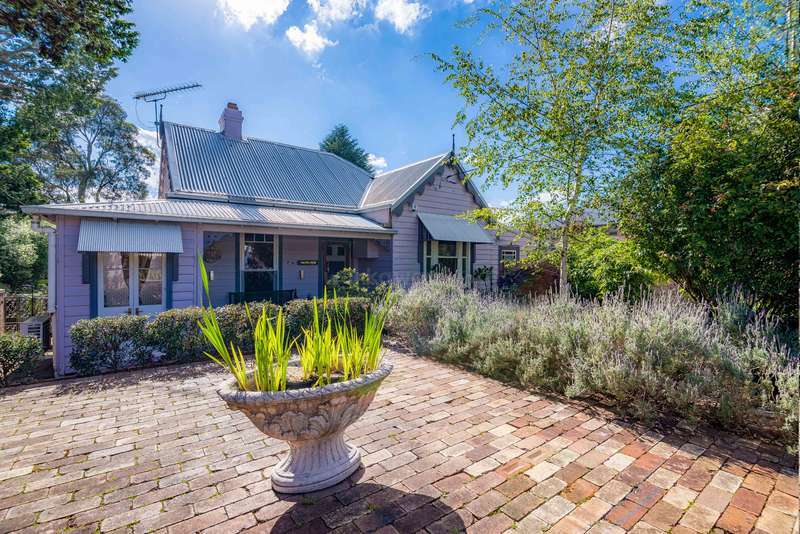 Home in Katoomba with large garden needs someone who likes gardening to keep it in check! Two large, friendly dogs live here. Part of the house is also an occasional B&B and you will be paid for any cleaning work associated with this. Hopefully, I will learn from YOU! Your diet will be vegan/vegetarian but if you eat meat, I provide some for sandwiches such as ham or chicken and we have bbqs, once a week depending on the weather, where meat is provided. You will not be able to cook here. I provide all evening meals and you can help yourself to cold breakfast (cereal,toast, fruit, jam,vegemite, crumpets etc) and lunch wraps, salad from the garden, home made spreads and dips. One delicious, home made vegan/vegetarian hot meal a day is provided at dinner time. Things I don't provide: towels, chargers and charger cables, soy or other alternative milks and other specialist vegan food. I make delicious vegan and vegetarian food without these expensive products so if you want almond milk or vegan cheese, this is at your own cost. And any junk food is on you! Your day will start with walking the dogs, feeding the dogs, grooming them before gardening or anything else that needs doing. Watering the large garden is a daily task as well and is done early in the day. Your day will end with walking the dogs in the evening and again giving them their evening meal. You will also take them for their weekly bath. Picking up after them in the garden is one of the less desirable chores but this needs to be done every day too. If you book a place here for a certain period of time, I would like you to stay for the agreed time and not leave early because I will be relying on your help for the agreed period. Please also arrive on the day you agree to and don't try to change it. I also expect my WorkAwayers to keep their own things neat and tidy and to clean up after themselves. Please note: don't expect to earn a fortune here - you'll be paid the minimum Australian wage of $17.70/hour minus a percentage of your food and accommodation for cleaning the B&B. 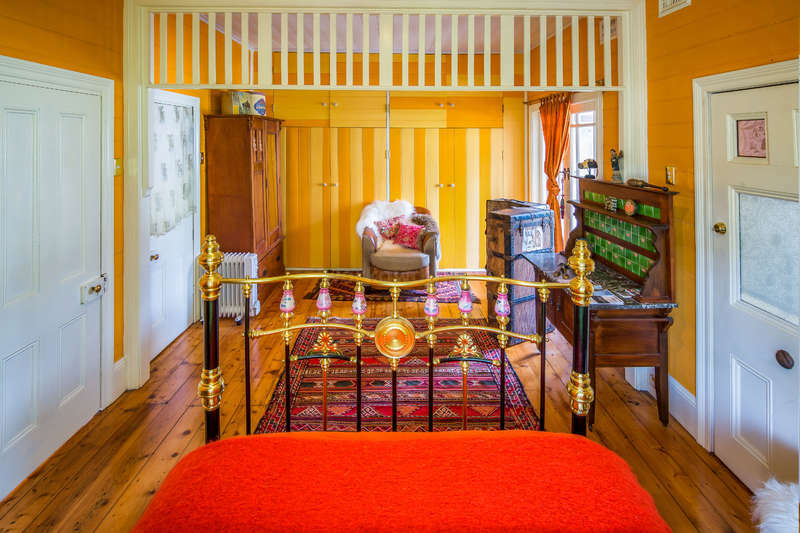 The B&B is not cleaned every day and takes only an hour to clean once you're up to speed, so it's little more than pocket money and in no way does it count towards your second year visa. Also please note: A trip to Jenolan Caves to feed wild kangaroos, and see other wildlife will cost you $30 or $15 each ($30 if there's just one of you). A trip to the vineyards will be $35 each or $40 for one person. Come and join me, Hattie and Oi! *️️️️️️️️️️️️️️️️️️️️️️️️️️️️️️️️️️️️️️️️️Your stay includes unlimited, fast, free internet, Netflix, all food (home cooked) plus generous time off. *️️️️️️️️️️️️️️️️️️️️️️️️️️️️️️️️️️️️️️️️️Vegans and vegetarians most welcome. No smokers please. *️️️️️️️️️️️️️️️️️️️️️️️️️️️️️️️️️️️️️️️️️You need good English to stay here as you will be learning new tasks. Help needed with dog walking, gardening, cleaning, painting, and small maintenance tasks in exchange for accommodation and three healthy meals a day. We are right in the heart of Katoomba. 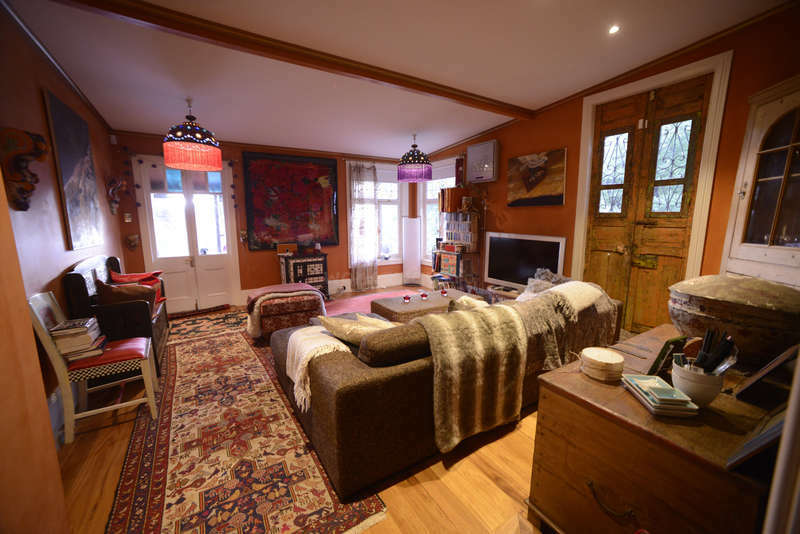 Close to bush walks, galleries and cafés. I also have a small, boutique B&B and you will be paid for cleaning this. It requires a very high standard of cleaning with attention to detail - as does the rest of the house! 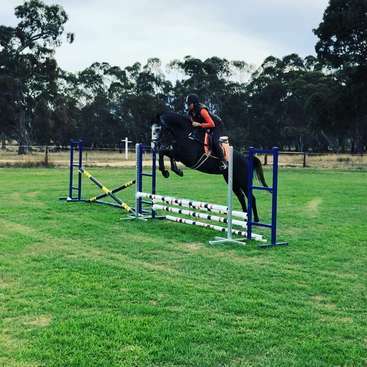 The kind of WorkAwayer I need has common sense, uses initiative, works intuitively, has had a bit of life experience and some wool on their back, loves the outdoors and sees the glass as "half full." I have a quarter of an acre of gardens growing native plants, ferns and food via permaculture. I work in the city so I don't have a lot of time for gardening. I would LOVE someone with landscaping and horticultural skills, but just a love of gardening and skills in general gardening would be fine. There's quite a bit of weeding which requires attention to detail and possibly some harder work spreading mulch. There are also a few handyman-type projects I need help with too and if you have carpentry skills, that would be awesome but your daily jobs will start with watering the garden, walking the dogs and cleaning the house. In return, feel free to use the spa, the awesome sound system and the fast, free internet. We often watch a movie at night. WITH POPCORN! The house is large, clean and comfortable and your accommodation will be one of two options: in the B&B which has an ensuite bathroom, on a comfy sofa bed or in a single room which has space for a mattress on the floor. It will depend what is happening at the house at the time you are here. PLEASE ONLY CONSIDER THIS OPPORTUNITY IF YOU ENJOY NATURE AND LOVE ANIMALS and are not afraid of working outside. My garden has amazing bird and bat life! 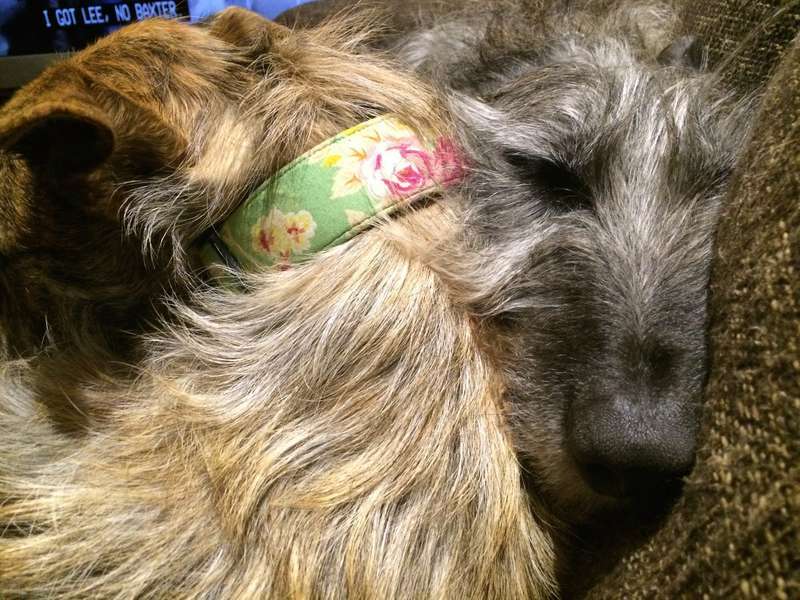 I have two large, enthusiastic, friendly lurchers (Hattie and Oi) and their twice-daily walk will be your first job every morning and your last job in the evening. As the dogs live in the house with us, cleaning is a daily priority and I like people with attention to detail. The dogs are taken for their weekly spa bath every Monday. They are groomed every day and this will be your job too. You also have the awesome task of picking up after the dogs in the garden every day! You must be a true animal lover to live here - it requires a commitment to large dogs who do present some challenges and need to keep up their training schedule. This may require a visit to Sydney with me to work with their trainer. If you don't like dogs, this is not for you as they live in the house too. They are regarded as part of my family and they are large and strong. They are always in the lounge room at night with us. They are allowed on the furniture. If you are working in the garden they will want to follow you around. If you're not a dog person, this is probably not the right fit for you as they are a dominant part of every day here. If you are a dog person, you'll fall in love with them. The house is 500 metres (ten minutes) from the iconic Three Sisters and close to all the best bush walks the mountains has to offer. Katoomba is a friendly, funky village with lots of interesting shops, cafes and art galleries - even a street art walk. There's an excellent vegetarian cafe close by and a vegan restaurant in Leura. Meat eaters have a whole world of other choices! The house is within walking distance of the train station (15-20 minutes) and is in a very picturesque street. Please note I try to limit my WorkAwayers to two at a time but sometimes theres an overlap and sometimes I do have enough work for two or three. You'll find me friendly, fair and easy going - you'll have home-cooked meals every day and if you wish, I can take you to see wild kangaroos, UP CLOSE , platypus, echidnas, wombats and wallabies and to nearby vineyards (I do charge petrol money for this but it is an awesome experience). I have fun with my WorkAwayers, we go out together, drink a glass or three of wine together, have movie nights, listen to local, live music and you'll meet some of my friends over a barbecue or a night out. I'll take you to the beautiful wine regions near here and I can drop you at bush walks out of Katoomba too. While the work in the garden is sometimes intensive, you won't be a slave and you'll have regular breaks, meals and time off for exploring, bushwalking, shopping and catching up on your own stuff. And if you want a day or two off to go camping, as long as the work gets done, I can be completely flexible. However please note that days off have to be structured around times when there is no urgent work to be done, for example getting the B&B ready so your free time will need to coincide with this. There's no work (except walking the dogs) on the day you arrive. If I'm not at work, I'll take you out exploring so you can see some of our spectacular sights and so you can get to know where things are. There is a room available with one single bed and I can put a mattress on the floor if you are two people. The B&B is available to you when there are no guests, which means you have a private ensuite bathroom and living room. 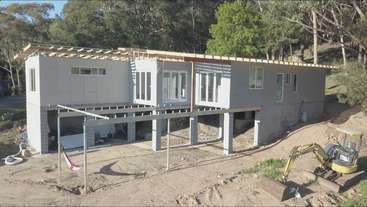 The house is 500 metres from the iconic Three Sisters and close to all the best bush walks the mountains has to offer. Katoomba is a friendly, funky village with lots of interesting shops, cafes and art galleries. We are within walking distance of the train station (15-20 minutes) and in a very picturesque street. Oi and Barkley snuggling up in winter. It snows in winter here. Michael is a lovely guy who would be welcome back here anytime. In fact he did stay here twice and it was lovely to have him. He is a true animal lover and quickly became very close to the dogs:). Did the work expected of him with no complaints or problems and fitted in well with the rest of the workaway team. Thanks michael! I had a great time in Katoomba! I spent almost two weeks here and came back for another couple of days a bit later. Jilea is a great vegetarian cook and the Oi and Hattie (the dogs) are lovely. I slept in a tent outside on the veranda which was really nice. Besides there is not much "private space" for you. You should be cool about that and have… read more no problem with packing your stuff away every morning if you sleep inside the living room. The BnB is part of the house and whenever it is not booked Jilea allows the Workawayers to sleep in there. It is big and looks wonderful. Also you should be a neat person, always clean up after yourself, switch off the light when you leave the room and be conscious about your consumption (of energy etc.) in general because it is really important for Jilea. If you don´t like dogs, this is no place for you. The two of them live with you and are always present. They are very easy going and you will fall in love with them quickly. Walking them twice a day is one of the main tasks and especially Hattie is quite strong and you need some strength to manage her. The work is pretty fair in general - walking the dogs, washing the dogs, collecting the poo, work in the garden, clean the house. There is plenty to do in the garden and if you are motivated you can be outside a lot. Also Katoomba is a very nice area. You can go hiking, running, chill in the town centre, go swimming in the aquatic centre. Whatever, everything is in walking distance and Jilea also brings you here and there sometimes. We did the Grand Canyon walk and she brought us down to the starting point. Thank you again Jilea, Hattie and Oi. I had a good time!!! What a pleasure it is to host Alex and Amelie. They are EXCELLENT workawayers. I have had such fun with them, they are so easy going and delightful company. And they work hard without supervision and without complaint. They are knowledgable about gardening and permaculture and pay attention to detail. I'm especially grateful to Alex for sorting… read more out my recalcitrant compost and getting it smoking again! Very peaceful, pleasant workawayers like a big ray of sunshine in your life for a few weeks. Very kind to my dogs and very willing to do anything they asked. Thanks for the kitchen cleanup Amelie and all the work in the garden, both of you. Oi and Hattie are missing you and we are looking forward to seeing you again when you come back from fruit picking. If these guys want to stay with you, just say YES! Hannah is a really lovely young girl. I enjoyed having her stay for a week. She is very calm and quiet but friendly, flexible and very willing to do whatever needs doing. I loved the fact that she was so dedicated and kind to the dogs and in return they absolutely adored her. Welcome back anytime Hannah. Wish you well for the rest of your travels… read more and your dream of getting into Medicine back home! Valerie is a complete pleasure to have had in my home. She is just an angel! Valerie is a calm, thoughtful and reliable workawayer who is great company and fits in well with everyone. She is an extremely helpful person and is always asking how she can help. Valerie took such a weight off my shoulders while she was here, taking responsibility for… read more washing, dog walking (and dog washing!) and working in the garden. We spent a lovely day together potting, planting, pruning and chatting but she also did much of the heavier garden work - mulching and weeding. Valerie just gets on with things but in such a pleasant, helpful, co-operative way. There is nothing I could say about Valerie that isn't completely positive. She is a lovely person and you would be lucky to have her as your WorkAwayer. If she wants to stay with you, just say yes! Stay in touch Valerie and travel safely. I loved the time I spent with Jilea! She is so friendly and tried to make me feel as comfortable and as at home as she could. Whenever I needed something or had a question I could just ask and she would be happy to help. She has a great sense of humour and is so easy to be around and talk to. Sam is a Super Workawayer! She's a ray of sunshine to have in my house. I have loved her gentle company and her sweet nature. She is a deep thinker and is always asking questions. She works really hard and has been fantastic with my dogs and in my garden. She is a lovely person, independent, free-spirited and open to exploring the world. I wish… read more her luck. Stay in touch Sam. Lara is a wonderful workawayer. She is such a happy person with a really positive attitude and this is infectious! She always has a smile on her face. When things go wrong, she has a laugh. When things go right she has a laugh and this makes her great company. If you catch her singing while working in the garden with her headphones on, that is a… read more real treat! Not always a tuneful treat but an illustration of her happy-go-lucky nature - she sings like no one can hear her!!!! Lara took her duties seriously and did everything cheerfully. She finished the work started by other great workawayers in my front garden and now it looks so polished! She was extremely dedicated to my dogs, even walking them in all the rain we had while she was here. Hattie particularly loved her and we are sad to see her go. Lara is highly recommended. I spent almost two weeks with Jilea and her lovely dogs. I really liked the time here. It was just the relaxed atmosphere I just needed. Varied, easy "work", lots of free time, delicious vegan meals. Even movie nights and wine drinking I have always enjoyed very much. Jilea has always given very good advice on where to go in the blue mountains. I… read more have seen much of the beautiful nature here. I've had a real Blue Mountains experience here with Jilea! It truly is a beautiful place on earth. I had an experience of the natural beauty of this area only a local with a huge knowledge, love and passion for the local wildlife like Jilea can let you have. Thank you so much for showing me around, telling me the names of all those wonderful birds… read more in the garden (the Cockatoos!) and explaining a "Australian things" to me. I learned a lot about the Australian wildlife, culture , history and politics... Oi and Hattie are the most lovely dogs! The work was never too hard and Jilea was always making sure I was alright and asking me stop when it got to hot. I really enjoyed the work in the garden and seeing the transformation happening was very rewarding. Wish you all the best! Lilly is one of the loveliest WorkAwayers you could possibly meet. She is shy at first but once she opens up, she is a very interesting, passionate, kind and thoughtful person. Lilly transformed my front garden and never complained when the work coincided with the sometimes harsh elements in the weather here. 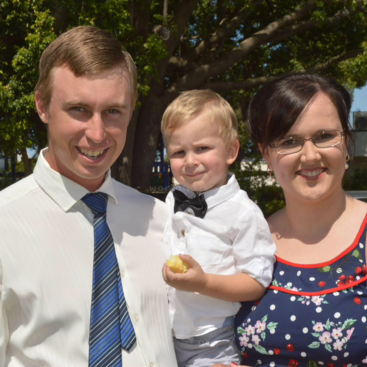 She has a fantastic work ethic and… read more constantly asked how she could help. I only wish Lilly could have stayed longer as she was extremely kind and dedicated to my two dogs and worked hard without complaint every day. I hope I gave her some good experiences of the Blue Mountains because she deserved them! Lilly is one of the best WorkAwayers you could possibly host and she is highly recommended. Wow! You know your stay was good when you can't find the words that do enough justice to describe it! A stay that started as 2 weeks easily became more. A month stay is simple as your needs will be met. Jilea's place lies beautifully between a cute semi-rural town and notorious hikes/outlooks. If you love the moutains and absolutely the best dogs… read more ever, sign yourself up now!! Jilea alone is a good reason to come as she is thoughtful, giving, and fun to talk to- oh plus she always chooses the best movies! Jilea is more than a host- she is now someone I can rely on as a friend (: Her kindness always brings a smile to me! She is deserving of good workaways that can handle precision, there are many jobs that require attentiveness and that's why I believe she gives pocket money because she is seeking excellence. It is completely manageable and I highly suggest that you acknowledge the accommodations she provides, it stands out from many other host! Jilea goes the extra mile (or kilometer) to prepare wholesome homemade meals on her days off and strives to take you where you desire to go. She really stands out to me and I love how much she tries to keep her guest feeling welcomed and happy. Molly the Wonder Workawayer! Molly took a huge weight off my shoulders. Like an angel from heaven she descended just at the right time and fitted in perfectly with her initiative, humour and gentle ways. My dogs LOVE her and now that she is back for a second time, we are all happy! She is a quietly determined person, wanting to make a positive… read more change in the world and her bravery shines through. I have nothing but admiration for her. Really, Molly is fantastic, I left her in an unfamiliar environment, doing an unfamiliar job and she just flourished. I wish her everything in life, she is a lovely soul. Stay in touch Molly! And stay safe, the world needs people like you! I am truly thankful that Antonella and Juliana contacted me as they are two of the best WorkAwayers you could ever hope to meet. They work hard and use their initiative and they never, ever complain about the heavier jobs around the garden. They were so kind to the dogs and very kind to me when one of my dogs became very ill. They have really… read more taken the burden off my shoulders and filled the house with light and laughter. They quickly made friends with Insa from Germany and all three worked well together in the B&B and the garden. They are extremely good at detailed cleaning and I have nothing but praise and good wishes for them. Truly, lovely, lovely girls. Best of luck on your journey Antonella and Juliana and please stay in touch. This has been my first workaway experience and I had such a good time at Jilea’s place. Thank you so much for everything! Jilea is a really caring, happy, easy going and honest person. She always made sure that I was feeling comfortable. We went out for dinner, she took me to a local farmers market and introduced me to her mum who is also a… read more really kind and generous person. I really enjoyed our evenings together. Jilea even buys you some wine and her food is amazing! She took me to the canyon walk and to the valley where we saw kangeroos! The three dogs Hattie, Oi and Casper are so lovely and it was such a pleasure to walk and feed them. For the B&B you need an eye for details and Jilea helps and shows you how the B&B should look like. I've had an extremely happy, relaxed and wonderful ten days with Carina. It was far too short. There's nothing more I can say about this sweet, gorgeous, darling girl, except that you would be lucky to have her as your Workawayer. Recommended off the scale! What an angel! I spent two weeks in Jilea's house and I totally recomend it. The place respect fully what she has written in her profile, the location is perfect to know the Blue Mountains and to do amazing trekings. Jilea is very friendly and was very generous taking us to another places in the Blue Mountains. I had a lot of fun with her and Federico, another… read more good volunteer who became a friend. The work is not hard, gardening, cleaning the airb&b, where you need to have detailed eye for cleaning. Then there are three lovely and friendly dogs that would make you very happy. Thank you so much for having me Jilea, Oí, Gasper and hachi :-) hope we see again!! Absolutely loved having Matty stay for a few weeks. He is such fun and always has a smile on his face. He's like a big ray of sunshine in the house. The dogs loved him and he got on with all the other workawayers coming and going and especially struck up a lovely friendship with Federico. It was a joy to be around them as they laughed and joked… read more with each other. Matias took his duties seriously and he's very reliable - weeded my whole garden and just got on and did things as they needed doing. The dogs loved him and we all miss his perpetual smile here at Katoomba. Come back anytime Matty! This was my first experience and it made me fell in love with workaway. This place is stunning and amazing. If you like nature and trekking this is the best place! The Ad that Jilea wrote is proper and right and the place respect fully what she has written. She is an happy person, always smiling and always trying to feel you at home. The work is… read more right. The three dogs that you have to look after are lovely and friendly and make you happy. Every day you have to feed them and take out for a walking, morning and evening. Very important is cleaning the b&b when guests coming. We were two workawayers. I enjoyed this experience with Matias, a really funny good guy from Argentina who helped to make this experience special! I absolutely recommend this place with the beautiful company of Jilea and the three dogs! What a sweetheart Fede is! Any host would be lucky to have him. At first Fede is a little shy but his natural optimism soon blossoms and his wicked sense of humour emerges. He is kind to animals, respectful to other people and a really good worker. I could trust him with my place because he has an eye for detail and cleans really well. Plus he… read more took extra care of my precious dogs and most of all was friendly to everyone. I am really sad to see Federico go and I hope he comes back one day. Justin is fun. He helped me out at the last minute when I needed another Workawayer and joined in our WorkAway family helpfully and easily. I enjoyed his company and once he has more workaway experience he will be an even better Workawayer. Wish him luck. Stay in touch Justin. I just had a great time at Jilea's! This workaway experience was truly awesome. I stayed in the blue mountains for 4 exiting weeks. To work with the two dogs, Oi the lovely Boy and Casper the dancing Queen, was just outstanding. In general the work is not really hard. If you are in good company, like I was (Maren & Clint), it is just fun. I… read more enjoyed the BBQ (with a small dance session) and those evenings with a good series on Netflix and a glass of wine. The food at Jilea's in general is extremely good. Even if you are not vegan, you will definitely enjoy her meals. You can have really good conversations with Jilea. She is really interested in politics and can tell you everything about the region and the local animal-life. She took me to many beautiful places. When it comes to her B&B she truly knows exactly what she wants. I am deeply thankful for the great time. 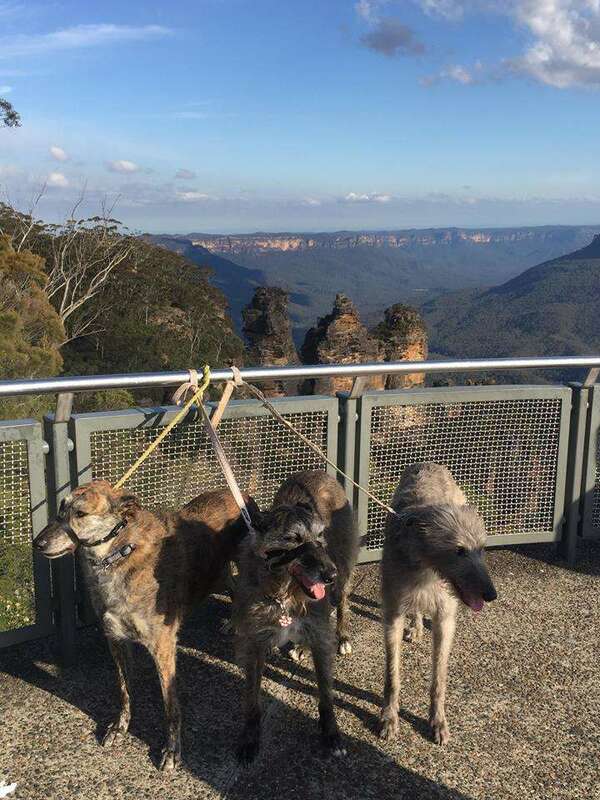 If you like exploring the beautiful nature of the blue mountains, love dogs and enjoy good food in great company I would definitely recommend this place to you. I wish you all the best and I'm looking forward to meet you guys again. Cheers. Had an awesome stay in the beautiful blue mountains with Jilea and my fellow workaways Mila and Sarah! Taking care of Ohi and Casper is more fun than work and whilst the b&b and garden needs an eye for detail it is quick when you get used to it. Jilea was super kind in letting us borrow tents and camping gear and planing hikes, giving us some… read more unforgettable memories of the mountains. If you love hiking and dogs this is definitely a place you will love! Anton is a really lovely guy, easy to get along with and very willing to help. My dogs adored him and I also enjoyed spending time with him, showing him the local area, and spending a great day out in the vineyards at Mudgee. Anton is extremely dedicated to animals and in return he had my dogs' immediate trust and co-operation. I… read more could completely trust him with Oi and Casper (two large, strong lurchers, who need a bit of skilled but gentle management) and he was also great at any outdoors work and with cleaning my B&B. Anton was also very kind when I was a bit sick while he was here. I was glad to spend Christmas with him at my elderly parents' place along with my other workawayers, Sarah and Mila and to go wildlife spotting with him at Jenolan Caves. 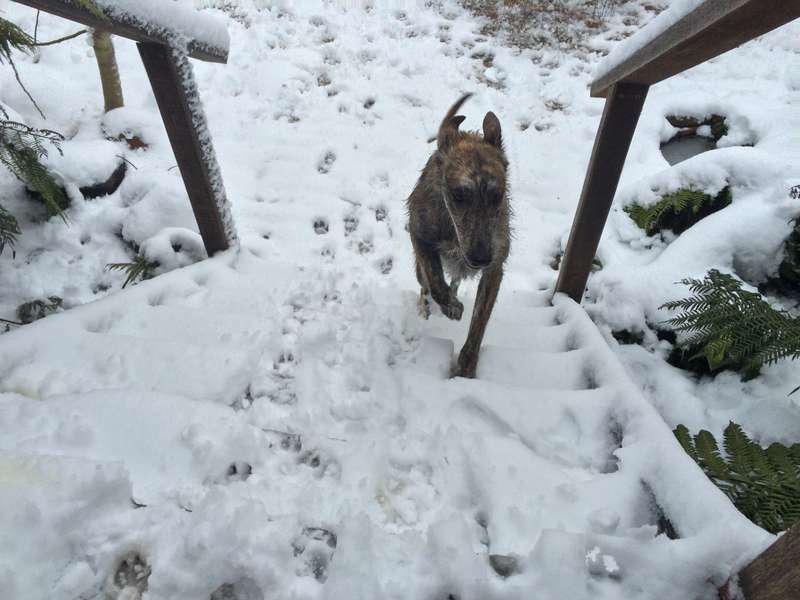 Anton is very reliable, easy going and was a great fit with all of us, dogs included! I highly recommend Anton and I hope he stays in touch. Safe travels 'bucket boy'! Sarah and Mila are the Workawayers to dream of.Having them stay with me was like having a house full of light. These girls wake up every morning with a smile on their faces and they breeze through the day spreading their infectious happiness. Sarah is an accomplished architect and Mila shares my love of dogs and other animals - we had lots in… read more common but even if you don't share their interests, these girls are willing as. They are incredibly helpful always mindful of their responsibilities. I loved having them for Christmas with my parents, who also loved them. We shared wine, meals, stories, laughs and went bushwalking, to live jazz concerts, explored the local area with some wildlife spotting thrown in. I was glad to take them to a secret place to feed wild kangaroos and see our extraordinary reptile life. These two will lighten your burden, light up your life and you will feel a very painful absence when they leave! Best of luck Sarah and Mila, I have absolutely loved having you and wish you safe travels. Stay in touch. I am so grateful to Clint for his dedication and skill and his attention to detail at my property. Clint painted my entire lounge room, a tricky area in the bathroom, cupboards and gates and did several other practical jobs that had been irritating me for a long time. He is VERY kind to animals and my dogs loved him. Clint is a highly skilled… read more cabinet maker and I wish he would come back and just be on call forever! The other thing about Clint is that he is easy going, low maintenance and a quiet and calm presence with a lovely sense of humour. Did I mention he is very kind to dogs? Best wishes Clint, good luck and thanks for all your help. I really appreciate it. Maren is the sweetest workawayer you could possibly have. She works very hard and is really lovely company. If you are looking for a workawayer to include in your daily activiites - barbecues, dinners, day trips, Maren is very friendly and joins in easily. On the other hand she is very conscientous about doing her share of the work. I am very… read more grateful for her excellent help with my B&B and recommend her for gardening, cleaning and especially taking care of animals., but I'm sure she could do almost anything. She was so lovely with my dogs Oi and Casper and we will all miss her. Stay in touch Maren! Cynthia is a joy to have around. I thorouhgly enjoyed her company and she is always eager to please and to help wherever she can. My dogs loved her and I can highly recommend her. I enjoyed showing her where to spot kangaroos and wallabies and we had a great three weeks together. No problems with Cynthia at all! This was my first Workaway experience and I'm glad that I've spent this time with Jilea, her wonderful dogs and two other lovely guys from England. Jilea is a nice caring host who wants the best for you. She took us to some places watching Wallabies and Kangaroos (this little Wallaby munching the banana was incredible!) and also to a Farmers… read more Market nearby. We had a great night at a Jazz Concert and some delicious dinners. Jilea is a very good cooker and made some great Risottos and stews. The work is not really a 'work' if you like dogs and it's easy getting into the cleaning routine for the B&B. I will miss the two boys Casper and Oi as they were some lovely dogs who will you wake you up in the morning with a wet kiss. The sourrounding is incredible and it's absolutely worth to explore the Blue Mountains. Thank you Jilea for this experience and I wish you and the dogs all the best. Nora is such a sweet, gentle soul who is an absolute pleasure to have around. She always did what she was asked and she's quiet, clean and tidy, cheerful and very respectful. Nora has lovely manners and she's highly responsible and reliable. I am so sorry to see her go and I hope she finds her way back here again some day. You would be very lucky… read more to have Nora as your workawayer, especially if you have animals - she has demonstrated a great affinity with my lovely dogs and they will miss her too. Best wishes to you Nora, I will be sorry to see you go, but I'm glad we had some great days and nights out together and that the dogs benefitted so much from your presence here. It was sheer delight having George stay here for a few weeks. George is unfailingly polite and respectful, always cheerful and forever willing to please by working hard in exchange for his accommodation. He worked well at whatever he was asked to do and quickly picked up the art of detailed cleaning. He was absolutely lovely With the dogs and an… read more all round general joy to have around. He is very easy going and was grateful for the experience i provided for him. I really can't recommend George highly enough as a fantastic workawayer! Welcome back anytime George and stay in touch. This was my first Workaway experience and I didn't know what to expect. Jilea made me feel very welcome from the first day and throughout my stay continually ensured I was more than comfortable! Because of this I ended up staying three weeks despite only planning two. Jilea is amazing and cares for her Workawayer's very well. 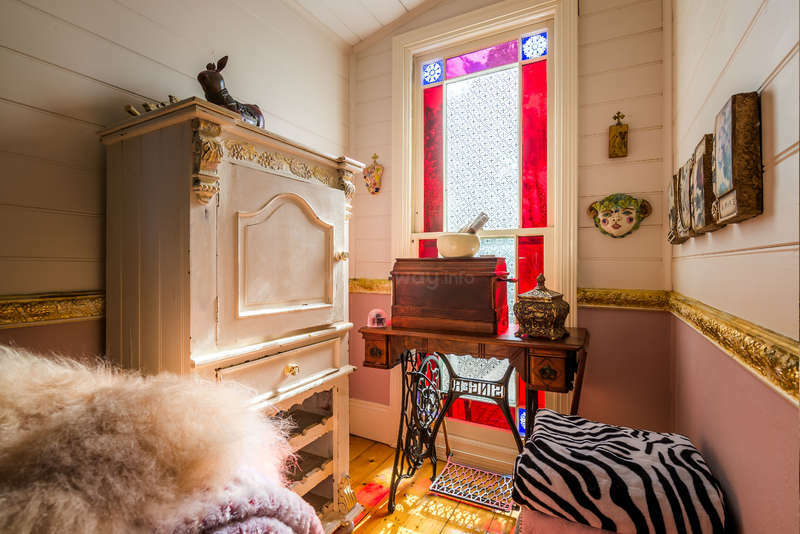 With a great sense… read more of humour, lovely home cooked food and invitations to come out with her and her friends you feel very included and instantly get a feel for the laid back Katoomba life. I was lucky enough to be driven to some fantastic walks not so accessible using public transport by Jilea. She took me wine tasting in Mudgee and out to see kangaroos in the country. I've also learnt alot about local wildlife and flora through Jilea which has been awesome! The work is fair and enjoyable! But definitely requires precision and a good eye for detail. Upon guests checking out, the place requires cleaning and general resetting. It's a routine that you quickly get into but does require a good bit of detailed cleaning and may take a couple times to get right. Daily tasks included feeding, walking and generally loving the two lovely lurchers and watering the garden. Jilea is super easy going and ensures that you get plenty of time off to explore the amazing location and get up to your own things. I recommend the Wentworth pass at Wentworth Falls. It's a really fun longer hike that involves ladders and scrambling over rocks. If you're feeling up for it, come back via the National pass instead of the easy, short cut track ;). Two stops away from Katoomba on the train! I have thoroughly enjoyed my stay and would love to come again! I spent one enjoyable month with Jilea, Oi, and Caspar in the beautiful Blue Mountains. Jilea is a lovely host and is happy to work with your needs and help plan fun adventures. My main tasks included caring for the dogs (food and walks twice daily, love and cuddles, occasional grooming/bathing) and cleaning the B&B. A bit of garden work as well… read more despite the rainy and cool winter weather. If you love dogs then this is definitely the place for you because there are two giant hairy dogs that would love your attention. Katoomba is also the perfect launching point for all sorts of bushwalks and outdoor adventures. I heartily recommend trying the Grand Canyon Track and Blue Gum Forest Trek while you're there. And I can't forget to mention all the fun times in lovely conversation with Jilea. We had a lovely time talking about our mutual interests (mostly lots of animal talk!). Thank you so much for everything, Jilea! I'm missing you and your beautiful dogs already. If you are lucky enough to host Julia you will be rewarded with a calm, quiet, dedicated WorkAwayer who does more than what is expected of her. Julia is lovely. She is very intelligent and quick to help with anything going. It was nice to have someone who is both independent and empathetic in her approach to being a WorkAwayer. We spent a lot of… read more time talking about things of mutual interest, ie native wildlife and nature and I appreciated the stimulating company she provided. Julia is welcome back here anytime! I wish you only the best, Julia and hope to see you again. Stay in touch! I stayed this beautiful place for a week. Jilea is the one of fairest person who I've met in my life. She treat me as an independent lady, asked me what I want and gave me some options. I'm lucky because I had wonderful days with her and two lovely dogs(Oi and Casper♡) in Katoomba where has a lot of nice bush walks. She took me Grand Canyon, Leura… read more Cascades and a place where I can see wild kangaroos and wallabies that is awesome! After having spent 10 days at Jilea's place we can tell you that she's definitely a host we'd recommend! She's a caring and really warmhearted person happy to share personal stories with you. The working hours are fair, since you are able to work highly independent while she's at work. There are rather tasks to do for the day than working hours to… read more fill. The most important daily tasks are definitely caring for the friendly dogs (2 walks daily + feeding) and place (clean-up and welcome new guests) followed by some varying daily tasks you'll be asked to do. Jilea is a quite tidy person, so if you're staying here and working for her you should make sure to fit in and be able to clean up after not only yourself, but also the dogs and guests! She is happy to take you on weekend trips and show you the major sights and secret spots around. Jilea once said that workaway is a "lifeline" for her - and if you're here you'll get to know why: She works amazingly long days followed by caring not only for her guests, but also her workawayers. She just wouldn't be able to handle everything on her own. So if you're considering to help her out, please make sure you're a conscientious helper - you'll be rewarded by amazing food, flexible working times and a stunning surrounding!! First: Thank you so much for everything Jilea! My stay at Jilea's place was such a great time. The house is lovely and the location is just perfect; plenty of beautiful walk to do around and the center is within walking distance. Jilea always made sure we had all we needed. The food was so good! And she also offered us to do some special dinner… read more that we like. She took us to see kangaroo and we even went camping on our free days! I would definitely recommend this host. Two awesome workawayers. Missing them already - Carolina with her cheerful loudness that fills the house and her garralous, kookaburra laugh and Pieter with his understated, subtle humour and attention to detail. I loved these guys. They work hard, never complain and are eternally cheerful. Very kind and dedicated to my dogs and I knew I could… read more leave my b&b in their capable hands every day and not worry about a thing. Excellent, five star workawayers. If they want to stay with you, just say "yes"! Where to start? Me and my boyfriend stayed at Jilea's for one month. The first day we got here, Jilea took us to a farmer market nearby and I found an Argentinean snack pop-up store and I was so exited to have one of the empanadas (snack), that she bought it for me. That was very sweet. At Jilea's house you will feel very welcome, cozy and comfy.… read more She and the dogs instantly make you feel part of the family, it is like a home away from home experience. The job is very easy. If you enjoy hospitality then you will enjoy welcoming the guests and preparing the B and B for them, Same if you like dogs, they are part of the family and always around us, You can choose if you want to sleep with them or not. Gardening is also one of the tasks. The garden is big and every once in a while you will encounteer beautiful colourful different kind of birds. 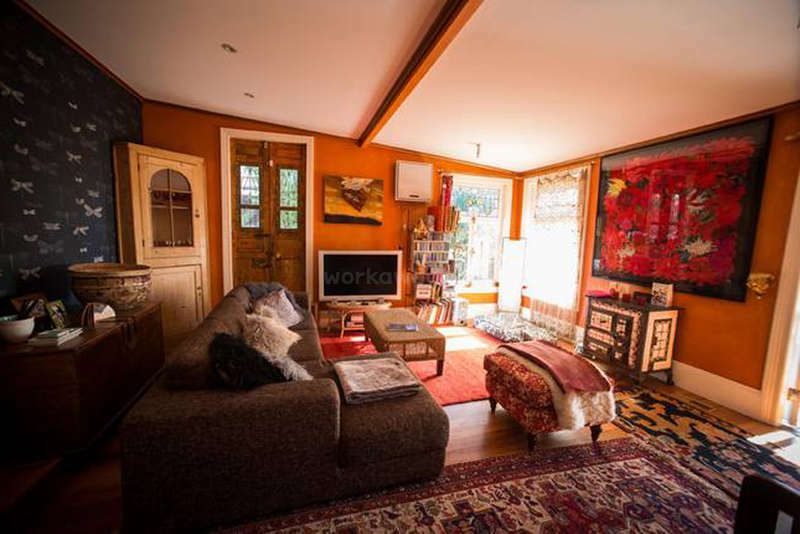 Jilea's house is a five minutes walk from the Three Sisters, an iconic place in Katoomba, and the Blue mountains. The location is perfect, also 10 minutes walk from the city center and train station. Jilea will be more than helpful and willing to take you around the area. She took us to the wine region of Orange and to go see walibi's and kangaroo's. 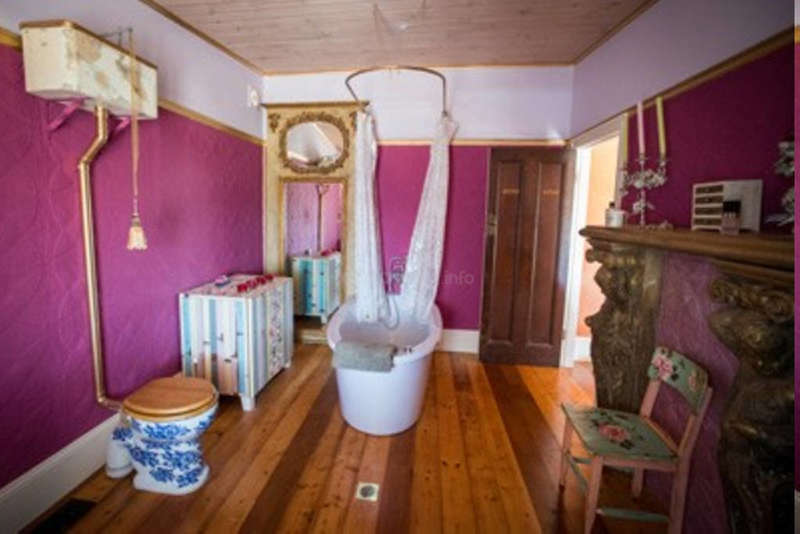 The house is very charming, you can take relaxing long baths, watch unlimitated netflix and wifi works perfect. Jilea is a great cook and wine lover. You will find yourself eating very healthy here, and learning new things about food. Jilea cares about the environment and likes not to use all electricity that the solar panels produce. Jilea is very kind and we are extremely happy this was our first workaway experience. We will miss you, Oi and funny Casper. Whenever we are in the area we will come visit you~! Lain and Paula are WorkAwayers to dream of. Kind to animals, hard working and eternally cheerful. They are great company, we enjoyed some great meals together and watching "Episodes" each night after work. They never complain, are always polite and friendly and always do the work expected of them. I thoroughly enjoyed having them stay for two… read more weeks and glad I could take them to see some kangaroos (even if they were really wallabies). You won't be disappointed if you host Lain and Paula, they are really lovely people and excellent WorkAwayers. I hope I see them again!!!! Faustine is a lovely girl, she is helpful and sweet and I enjoyed her company. She is highly creative and I enjoyed seeing her photography. Good luck and thanks for all your help Faustine! Staying at Jilea’s place was fantastic! 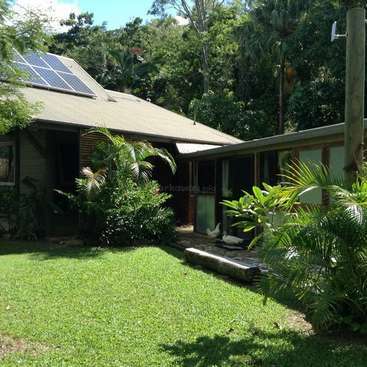 Not only does she have a cute and clean home, but she lives 10-15 minutes walking from a bunch of amazing bush walks! On your off days, she is also more than happy to take you hiking a little farther away in Wentworth or Blackheath. For a fee for her time and petrol, she’ll even take you on a full day tour… read more of the area that includes a beautiful hotel with a great view, Govett’s Leap (other side of the Blue Mountains), the Jenolan Caves, and MOST IMPORTANTLY to feed wild kangaroos! She took me to do this and it was the highlight of my trip so far; feeding the kangaroos and wallabies was absolutely amazing. The work at Jilea’s includes lots of dog related activities (which is okay because they are wonderful dogs), cleaning, gardening, and preparing the B&B for guests. Jilea is very fair with the work, and will cook you a delicious meal after the day is over. Jilea as a person has a great sense of humor, is good company, and has a big heart. I miss laughing and joking with her already! I am looking forwards to hopefully coming back someday. Excellent, excellent, excellent is the only way to describe Johanna! She is such a lovely girl, very, very friendly, polite and happy to be involved in everything. She worked hard here and was so lovely with the B&B guests and very kind to my dogs. Johanna is a WorkAwayer to dream of. She never complains, always has a smile on her face and gets on… read more well with everyone. My only regret is that she couldn't stay longer. Best of luck Johanna on your travels and please stay in touch. i only spent one week at Jilea's place but i had a really good time there! Jilea is a really nice, honest and open minded person who sees her workawayers not just as helpers - Jilea is somebody who really integrates her workawayers into her daily life. The work depends on the day and you always have to pay attention to detail and leave everything… read more you use clean and tidy - that is an important thing for Jilea because she works with guests. Sometimes the work is cleaning the guest room, sometimes it is gardening or mulching and there is always the dogs - of course ;) If you are a dog person you will fall in love right away with the two lurchers named Casper and Oi. i really enjoyed walking the two guys every day while having a fantastic view of the blue mountains. So if you become Jileas next workawayer don't miss the bushwalkes out there! Thanks Jilea for the nice meals, the nice wine in the evenings and generally for the nice time i had at your place. if you ever come to Germany you have a bed. Cheers! Food: Jilea would cook a dinner every night and she was considering our "vegan wannabe" preferences which was great. If you like pasta and rice you will find her meals really delicious. For breakfast we usually had oats and fruits. Lunch was a bit difficult because you can't cook but if you are not too picky about food you can always improvise something. Work: It's well described above and it was generally lite. You feed and walk the dogs, water the garden and clean the B&B (bed, bathroom, vacuuming). After that usually comes some gardening. The day finishes with the evening walk of the dogs. Jilea cares that you don't work too much and that you see enough of the Blue mountains so if you want to do a bush walk and leave a job for later she will always encourage you to do that. So to sum it up if you like dogs and bush walks, working in the garden and the hospitality sector you will definitely have a great and memorable time here! Zlati and Ivo are such a breath of fresh air. Always happy and friendly and always willing to help. I thoroughly enjoyed getting to know them and appreciate the sometimes hard work (moving fern trees) they had to do on their first few days here. My dogs absolutely loved them. They are both very gentle with animals and very committed to their… read more welfare and happiness. Zlati also generously gave me some InDesign lessons while Ivo fixed my dryer - that was on top of the every day tasks they had to do here. They met some of my friends and fitted in well with everyone. We had a wonderful Christmas here with Niels, another WorkAwayer who returned for Christmas! I have nothing but praise for Zlati and Ivo and wish them every happiness for the next phase of their travels. It was also great to learn a bit about Bulgaria as we don't have many visitors from that part of the world. Stay in touch you two! You are welcome back anytime. I have spent 10 days in Jilea's place and i enjoyed it. I have to say first that you will need to fit into the house's rules (clean your dishes asap, stay quiet when guests are here, etc). So it may take few days for you to get used to it. But once you have it, you will be very happy here. Work is not so hard and if you have Jilea's trust, you… read more might be able to manage your schedule. You have a lot to do around: hiking, waterfalls, swimming holes, canyoning, camping and many other things. The dogs are nice. You will certainly fall in love with Casper. And Jilea is cooking some delicious meals. This is a very good place to stay for discovering the Blue Mountains. I really liked Cyril. He is an easy-going fellow with a great attitude towards helping out. He is easy company and friendly with a nice sense of humour. He helped enormously in my huge garden and isn't afraid of the harder jobs. He was lovely with the dogs, too. I've always loved to work in the garden which was a big part of the jobs Jilea asked me to do. Mainly it included managing the quick growing weeds in the garden with our own made weed killer (which sometimes worked better than other times), mulching, taking care of the vegetable garden, pruning, planting new plant, watering etc. Other jobs I've done mainly involved cleaning inside the house and taking care of the B&B. 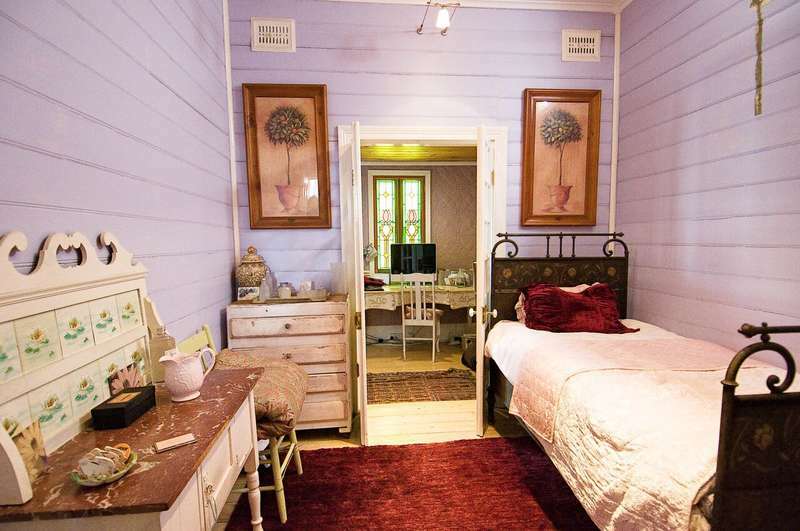 It is situated at a lovely location as well as it is only a short (5 min) walk to the famous Three Sisters in Katoomba. In addition, there is a lot of potential for beautiful walks in the vicinity (I certainly recommend you to do a few like the Grand Canyon, National Pass, Blue Gum Forrest...) Jilea is always willing to take you to the start of a walk by car if it is a bit further away and can also provide you with a lot of insight about the area. In the beginning I was planning on staying maybe 2-3 weeks at this workaway spot but ended up spending 2 months in the Blue Mountains. I guess the combination of the company of Jilea and the good times we had, Oi and Casper, the beautiful surroundings and walks, and the amazing weather all made it too good to leave earlier :) I would certainly recommend this stay to anyone! What to say about Niels? Everything possible that is good. Niels came as a WorkAwayer and left as a friend. I am so sorry to say that this is his last night here at Katoomba and we (me and my dogs Oi and Casper) will miss him very much. Niels takes the exchange as a WorkAwayer seriously and always does his share of the work every day. More than… read more that he is a great cook, extremely kind and empathetic to animals and above all, a great friend. We shared stories, a lot of laughs and great movie nights together. He became friends with my friends and fitted into our way of life here easily and helped me enormously on a daily basis, cleaning my place, walking my dogs and transforming my garden. He's also a great photographer and left me with stunning new pictures for my place. Most of all, Niels is a beautiful human being, he has a lovely sense of humour and is a creative, sensitive soul and a deep thinker. There will always be a part of his heart here in Katoomba in the heart-shaped topiary rose he created for me in my front garden. Have a beautiful life, Niels and stay in touch. It was a joy to have you here for the past two and a half months, you are such a beautiful soul. This was my first workaway experience and i went in with no expectations. Jilea was a great host with a beautiful home. she went our of her way to make sure that i was comfortable. Her home is like out of a story book and her garden a place of serenity. I enjoyed my morning meditations with the budda and walks with her dogs Casper and Oi. Her deep… read more bathtub was a dream after a long hike in the blue mountains or a day working in the garden. Thanks for the delicious vegetarian food. I wish i could've stayed longer but i will definitely be back. Paris is lovely! Very friendly and open and a hard worker. Paris only stayed a little while but she would be welcome back any time! I hope I see her again. Stay in touch Paris! Alex is a lovely person. She is very willing, very respectful and very responsible. And I only picked up that much in less than 24 hours. Unfortunately she wasn't able to stay for the time we thought she could and I was very sad to see her go. We shared a meal or two and a few laughs and glasses of wine. So if Alex asks to stay with you, just say… read more "yes". Although I was only able to spend two days with Jilea due to unforeseen circumstances, my time with her will always be remembered fondly! The help was not demanding and on the contrary, I found it enjoyable! I walked her dogs Oy and Barkley each day and helped her spread mulch around the garden to prepare for winter. A bit of weeding and… read more wheelbarrowing will take your mind off anything ;) She even took the time to show me around Katoomba and point out all the best walks. I wish I could have stayed longer. Thank you for everything, Jilea! I stayed at this Workaway for 11 weeks which I had not initially intended but Jilea's hospitality and open-mindedness was, from the offset, a wonderfully comforting joy to this lonesome Geordie traveller. She is not only a kind, sociable and funny human but full of amazing knowledge of the flora, fauna and wildlife of the Blue Mountains and… read more moreover, brimming with fascinating stories from her inspiring life's work. Jilea will not only provide you with everything you need in your Workaway stay in the mountains but will offer more: homeliness, advice, books, music, movies, her yoga mat (if you lack a camping mat like I did! ), laughter and wine. Best of all she will allow you to share the love of her two most handsome, wonderful dogs, Oi and Barkley (I'm still so sad to have left these boys). The dogs and Jilea's flexibility with regards to giving me time off for bushwalks in this spectacular region are what ultimately made my stay at this Workaway an absolutely memorable and cherished time. Any fellow workawayers looking for a host in the mountains, your search has just ended, message Jilea right now! The work is reasonable and she will cook you some sensuously delicious evening meals in return for your dedication. I have to say to you Jilea, thank you. Thank you for giving me an incredible start to my time in Australia and for being the facilitator of so many lovely memories. Pieces of my heart are laying scattered in the mountains and in your home too, with those beautiful, gorgeous dogs. Keep being the lovely, special person that you are. Keep writing poetry, caring about your Mam and finding your way in life. It won't be hard for someone like you, so talented, so self-aware and so caring about the world. At 31, you have a lot of good times ahead of you. So take advantage of them. Keep making love and drinking… read more Guinness. Get another dog, Play more of your lovely guitar. Go to India again. Try the patches. And only have the good things in life that you deserve. Thank you for the lovely garden. And finally stay in touch, it's been a wonderful three months. Jilea, Sparkly Barkley and Mr Oi the Lovely Boy. PS For any host needing a wonderful, hard working, fair minded, entertaining and sweet natured WorkAwayer, you can't go wrong with Dan. I stayed with Jilea for six weeks and it was lovely! Time flew by as the work was varied from gardening to cleaning to cooking to helping with the B&B. My favourite job was of course walking her two lovely dogs, Oi and Barkley. There's no way you will not love these two wonderful friends. Jilea made us really tasteful and healthy dinners. She even… read more asked me what I wanted to eat for my last night :) . I also got a weekend job while staying at Jilea's but sometimes had to work during the week. Jilea was really flexible about it and even encouraged it. 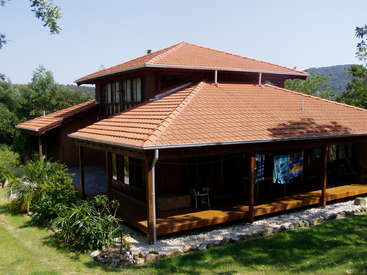 If you want to discover the Blue Mountains, this is the perfect place to stay for a longer time. Me and the other workawayer, Dan, had some amazing walks. Jilea provided us with helpful information and even dropped us off and picked us up. I want to thank Jilea for all the opportunities, for giving me a home for six weeks and for the lovely meals. I will miss this place! "Need some help?" is the constant question you will hear from Sarah. Sarah stayed here for six weeks and I have grown to be so dependent on her excellent help that I'm wondering what I will do without her. Sarah is multi talented. She can cook, clean, garden, walk big strong dogs and she does everything with a smile on her face. Sarah did much… read more more work than she should have while she was here and she never complained once. She is totally willing and I am so going to miss her! If you get the chance to host Sarah, just say "yes!" I hope she has a wonderful time travelling in Australia and that we meet again some day. Jilea is a fantastic host! I enjoyed my time here so much that my 2 week stay turned into 3 weeks. I loved her cooking, especially the potato salad ;). The work is very straightforward. Jilea just leaves you to it without micromanaging, but is always available if you have questions! There's a lot to be done so you'll never be bored, but Jilea… read more makes sure you get your time off, even if you lose track yourself haha. The accommodation was really nice; I loved the couch. And sleeping with my boyfriend Mr. Barkley every night :). I loved the work, accommodation, and company. I highly highly recommend this host. I have had several workaways since Jilea (sorry for the late feedback!) but she is definitely my favorite! Emily is a dream come true. She is a sweet and friendly person who is very willing to help. She works without supervision and just gets on with it. Emily is completely trustworthy. She's also a lot of fun and we enjoyed some time out together. She's fast, flexible and thorough with a good eye for detail. Emily sees something that needs doing and… read more just gets it done without being asked. I think any host would be very lucky to have her. She's especially good with gardening and has a high level of skill and knowledge in this area. She's also kind and patient with animals and walked my two big lurchers happily every morning before working hard in the garden. When I decided to take on another WorkAwayer at the same time as Emily's stay, she worked well with him and we became a happy, friendly team. I'm sad that she is leaving but wish her all the best. So if Emily wants to stay with you, just say "yes!" I had a great time staying with Jilea, she showed us parts of the Blue Mountains so we could get to know the area, and we also had great food like barbecues. The work was reasonable, mainly gardening and cleaning and it was fun socialising with Jilea and the other workawayers every night. Kristy is a really lovely person. She is very sweet. A little shy at first but by the time she left, Kristy was more confident and a part of our small team of Workawayers and a lovely presence who I will miss. I really recommend her, she's a sweetheart who is very willing and keen to help with anything that needs doing and to learn new things. I had a wonderful week staying with Jilea and her fur boys. Her beautiful house is in a great location, easy walking distance to the interesting town center and outdoor landmarks/walking trails. Her cooking is excellent and I nearly drank all of her coffee haha (sorry about that :). There is plenty of gardening to be done so this is a great… read more opportunity for someone who enjoys working outdoors. And a bonus if you are an animal lover...Oi and Barkley will melt your heart, part of the "duties" include walking them every morning. And I was even driven around by Jilea to explore some areas I wouldn't have gone to otherwise-she's a great tour guide! I would highly recommend this host! Heather was a joy to host. She was so helpful to me during her one week stay. She is a delightful person who would be welcome back here anytime. Heather has amazing attention to detail, so she is great in the garden and for thorough cleaning tasks. Running a B&B, there are plenty of those. We had some chill out time together too, and she is easy,… read more lovely company. Any host would be lucky to have Heather stay, so if she wants to stay with you, just say "yes"! Jayne is an absolute miracle worker in the garden. She also gives a mean haircut! Jayne transformed my front garden. She got straight into it and put her back into it every day till it was finished. And she helped with everyday cleaning. We also had fun together. Jayne is a happy, friendly, helpful person. I hope I see her again some day. She's… read more highly recommended. Thanks for making me feel so welcome for my first workaway. The food was brilliant, perfect home cooked food and wine. The surroundings were superb and Jilea was a great host at showing me round the local area. I got to love her dogs too. She was also appreciative of my work.I enjoyed doing the front garden. Jilea I havent forgotten to… read more send you the photos.I am staying in some remote areas so will get back to you.. Thank you jilea for hosting me. I really appreciate to stay, play with the youngest dog! We spend a wonderful day with Kangaroos. I was very sad to see Samir go after his ten days here. Samir is a hard worker, who is keen to do his best with everything. He is very polite, very clean and tidy and is really good company to watch a movie with at night. He also proved he had the maturity to sort out problems when they occurred. He walked my dogs every day, especially bonding… read more with the young dog, Barkley who loved him! He helped with cleaning each morning and did a lot of work tidying up my front garden. Samir has a good heart. I really enjoyed having Samir here and he would be welcome back anytime. I wish him safe travels and hope to see him again. Jilea was a terrific host and I loved every moment of my time at her place. She always explained what I had to do, but never being too controlling and leaving room for my own initiative and creativity. She provided the right tools for all jobs I did. Every day she asked what I wanted to eat the day after and lovingly shared her meals with me. As I… read more stayed during a very cold time of the year, she made sure I was warm all the time. She allowed me to socialize and take long walks with her beautiful dogs and also gave plenty of interesting information on the natural history of the Blue Mountains. I wished I could have stayed longer! Marco was a dream come true. He came right at the perfect time, like an angel sent from heaven! He works hard, really hard and nothing is too much trouble for him. He truly likes to uphold his end of the bargain and really went above and beyond the call of duty. Apart from that Marco was a very interesting and low maintenance guest and I'd truly… read more love to have him back again. He can turn his hand to anything and if he finds something that can be done a better way, he just does it! I wish him all the best.